I was incredibly excited when Natasha Denona announced her Mini Sunset Palette and today I am here to share my first impressions and swatches of this adorable little palette. First some info on the palette: it retails for $25 and includes 5 brand new shades inspired by the original Sunset Palette. The palette includes 2 mattes, 2 metallics and 1 sparkling foiled shade, all in a very compact size that makes this an ideal travel palette. The pricing of this palette also makes it more accessible to the many that have not been able to, or have been willing to spend the big money on her regular quads or larger palettes. A full-sized Natasha Denona quad retails for $48, which makes this mini version a lot easier on the wallet. But how does this pint sized palette compare to Natasha's larger palettes, and - is it worth the money? 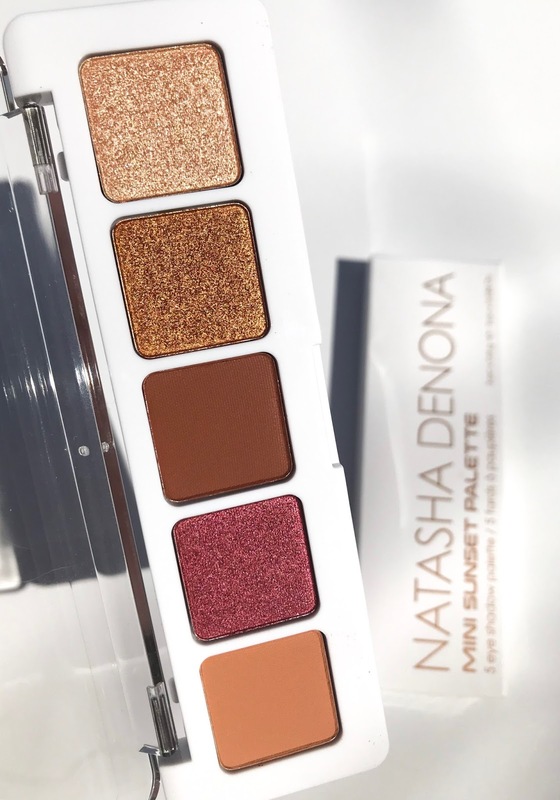 The Natasha Denona Mini Sunset Palette is packaged in a similar manner to Natasha's holiday palettes. I personally love this presentation. I really enjoy the see-through acrylic and simple, clean aesthetic. This palette does not have a magnet closure, but it does close tightly and pretty securely. Overall, I really like the minimalist look of this palette and how much cleaner it looks than her original quads. The shades in this palette will appeal to sunset lovers and warm-toned shadow lovers. And, it might even appeal to those that are not huge fans of really warm shades, like myself. While this is a warm palette, it's more on the neutral end of warmth. No shades in here are overly orange or brassy, there's a bit more earthiness which makes it so much more wearable than I thought it would be. I do happen to own the Sunset Palette, which was a Mother's Day gift from my family, but the overall warmth of that palette really keeps me from reaching for it as much as I should. 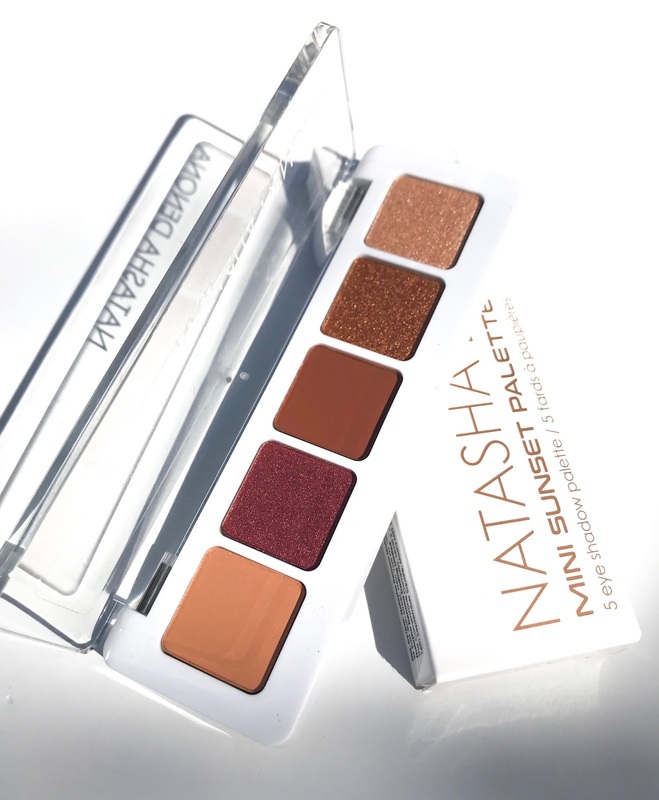 While I don't think that this palette is 100% indicative of Natasha's incredible formula when it comes to her mattes and shimmers, it was a lot better than I had expected after seeing so many mixed reviews. But I actually had a really great and easy time using this palette and was very happy with my finished eye look. Sun Beam and Halo both are pretty amazing, both of these swatch and wear exactly as I expect a Natasha Denona shadow to. I wore Sun Beam all over my lid (applied with fingers magically) and layered Halo in the middle. Both wore until the very end of a 12 hour day with almost no fading. I had the tiniest bit of fall-out on application and throughout the day. The two mattes, Guava and Dirty Mars, were not super pigmented in the swatches but on the eyes they have decent pigmentation. 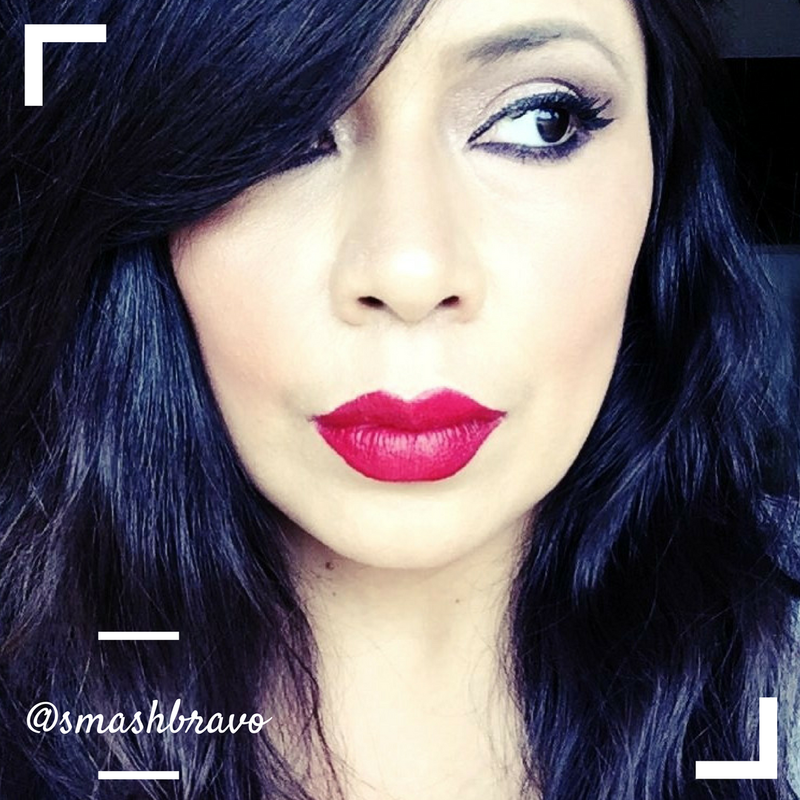 I am a HUGE fan of Natasha's mattes, and while these are not the same as her usual ones, on the eyes they perform well enough and are easy to blend and work. The biggest surprise was the shade that looked like the biggest dud in the swatches, Apollo. I actually groaned out loud when swatching this because even though I layered it twice, the shade felt really hard pressed and I got almost no color payoff. But I applied it both with a fluffy brush, on the outer v for deepening and on the lower lash line with a more detailed pencil brush, and found it to build really nice. With the pencil brush Apollo actually seemed to be a lot creamier than it did originally, maybe there is a top layer in that shadow that needs to be broken through. I really love Apollo and am glad it's not as bad as I originally thought, especially since this is one of the standout shades in the palette. WORTH THE HYPE AND YOUR $25? After my initial use of this palette I can already say that I do recommend it. This is one of those palettes that doesn't require eyeshadow expertise, I was able to create a beautiful look using all the shades and I didn't feel overwhelmed. And while there are only 5 shades, I have already seen a handful of other looks I can recreate. Honestly, I think this little guy is worth trying for yourself, don't let the bad reviews sway you. Plus - if you don't like it, you can easily return it. At the end of the day I don't think the Natasha Denona Mini Sunset Palette is perfect or her best palette, but I am so glad I purchased it and look forward to using it a lot more. I can actually see myself reaching for this little guy a lot more than I do my $129 Sunset Palette, which says a lot about my purchasing choices. Obviously, the simple life is more my vibe and I should probably stay away from larger palettes, especially such pricey ones. The Sephora VIB Sale is right around the corner. If the sunset theme of this palette is up your alley, I would def put it on my list. Oh - and I can't wait for more of these smaller palettes! For the price tag, I would def collect them all. 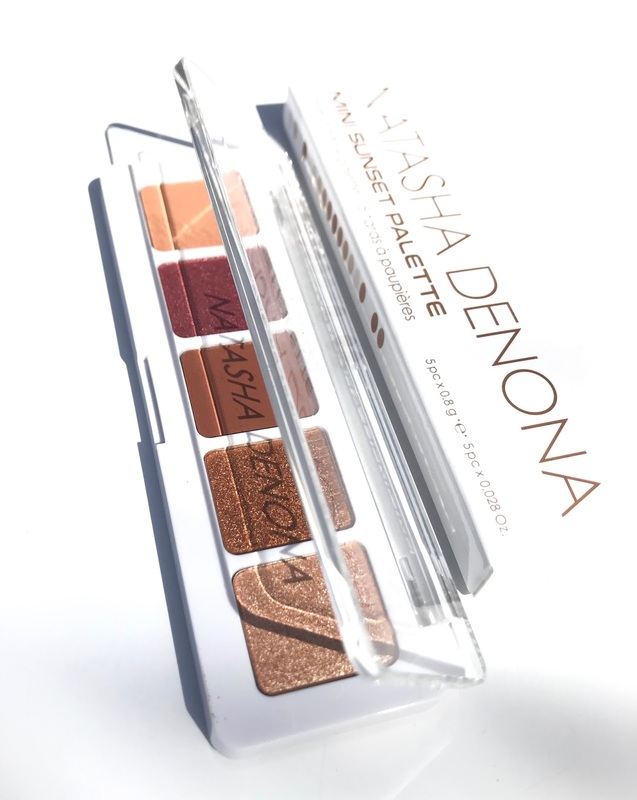 Purchase the Natasha Denona Mini Sunset Palette on Sephora. *Post contains affiliate links. Purchases made through these links will earn me a small commission. Thanks in advance if you decide to support my blog with your purchase. Pretty! I'll have to give this a try!